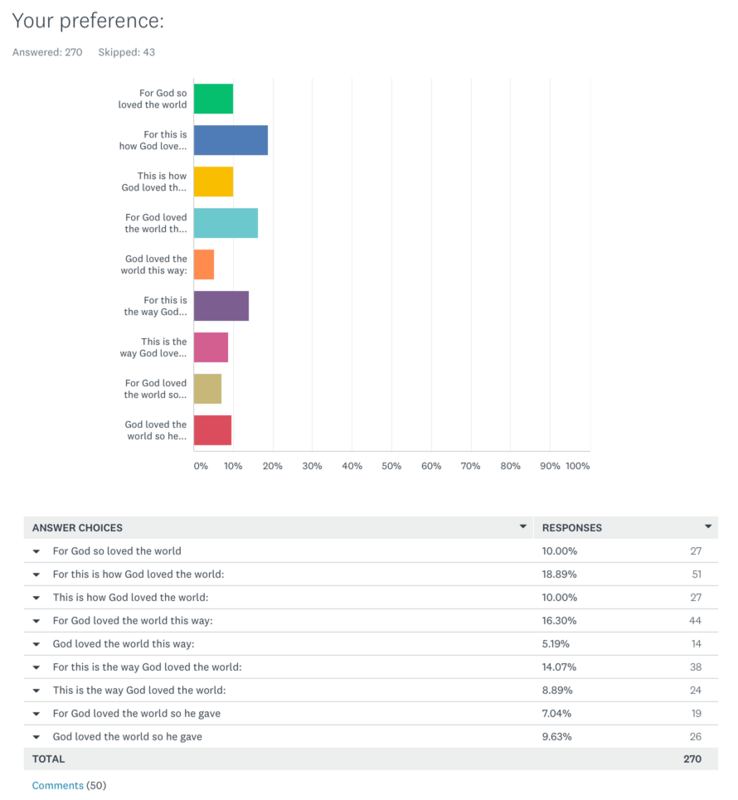 Thanks for everyone who responded to my poll last week about how to properly translate John 3:16. I am still working through all the comments, but here are the basic results of the poll. It appears you like the γάρ translated (somehow), and you like clarity even at the expense of readability.